We�ve all heard of and used peppermint essential oil at some point and time in our lives. 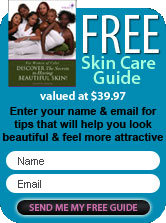 It�s making a pretty big splash in the world of natural hair care. Have you ever thought about using it to care for your natural hair care? Peppermint is a plant that is a combination of Watermint and Spearmint. Originating in Europe, its oil is an ingredient added to the production of many products we often use, such as chewing gum. It can also be used in the treatment of stomach upsets, fever, nausea, and pain relief, while doubling as a flavoring component that comes in handy when baking and making candies. Unlike some of the other trendy ingredients that come along, peppermint oil has been scientifically studied and proven effective multiple times. More than just a home remedy, it is not uncommon for doctors to recommend it due to its many benefits. 1. It balances pH levels. The amount of shampoos and products on the market with a high pH level is too high to count. They not only disrupt the natural levels in our hair that are the healthiest, they also make our hair more susceptible to damage. When your hair has a pH level that is too high, it will be dried out and dull. Peppermint oil balances the pH of your scalp and a healthy pH level is what keeps the hair well-moisturized and shiny. The oil can also heal the dry scalp that comes with an unbalanced pH. An added benefit to this is that once you restore your hair to a natural pH level, it keeps the harmful bacteria away that can lead to further damage. 2. It gets rid of dandruff. Often easy to see and hard to get rid of, dandruff can be just as harmful as it is embarrassing. It blocks hair growth by keeping hair follicles clogged, causing your hair to be weaker and to grow more slowly. Dandruff is caused by imbalances of the scalp that lead to extreme dryness, and contrary to what some believe, it cannot be fixed by washing alone. Targeting the underlying cause of dandruff is the best way to get rid of it. Peppermint oil gets to the root of what causes dandruff by eliminating germs and bringing the hair back to a healthy state. The oil of peppermint can also help to strip your hair of other excess oils that could be weighing it down, causing blockage, and stunting growth. 3. It helps to stop hair loss. The less hair you lose, the longer and more fully your hair will grow, but this simple formula is sometimes easier said than done. Hair loss can be caused by many things, including genetics, stress, medical conditions, medications, and over-styling. Losing hair is something that many people fear. For people who are already dealing with hair loss, daily styling while trying to keep the condition hidden can be a painful task. When you are trying to grow your hair, seeing that you are losing it instead is frustrating. The thin hair and excessive shedding that commonly lead to hair loss are two more problems that no one wants. When using peppermint oil, oxygen and blood flow to the head is increased. The scalp stimulation given by the increase of better circulation will grow your hair to its full potential and can keep it from falling out. 4. It adds a healthy dose of supplements. Healthy hair starts from the inside out. Hair thrives from proper nutrients and care, just like the rest of our body does. Without the proper nourishment, limited growth and an unhealthy mane often follows. Peppermint oil has numerous minerals and nutrients that are good for the hair. It contains the vitamins B and C, Calcium, Folate, and Copper, all of which have been shown to be important for proper hair growth. The Omega-3 fatty acids in the oil contribute to healthy and shinier hair. Including Magnesium, the hair follicles are made strong. On the other hand, without the Manganese included in peppermint oil, the hair could still be weakened. It also contains Iron, which prevents hair loss, and dry, brittle hair will be protected by its Potassium. Some products, no matter how beneficial they may be, are hard to use when they smell badly. Stinky hair products are a nuisance to the person who has to use them, and they can definitely be overwhelming to the people around you who have to smell them. What's worse is that these smells don�t always go away easily. The strong scents can get into your clothes and it sometimes requires more than one wash to get out. 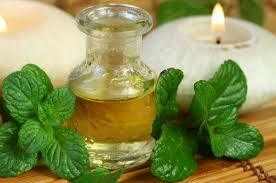 Peppermint oil has a very desirable fragrance that you can find in many products, ranging from candles to bar soaps. The better you smell, the less self-conscious you will be, and a pleasant smell also makes you more desirable to be around. It has even been said that the scent of peppermint oil can help to ease the tension of headaches. No matter what your hair type is, there are many benefits to using peppermint oil on your journey of growth. It protects your hair while growing it with beauty and strength and has a great smell as an extra bonus.